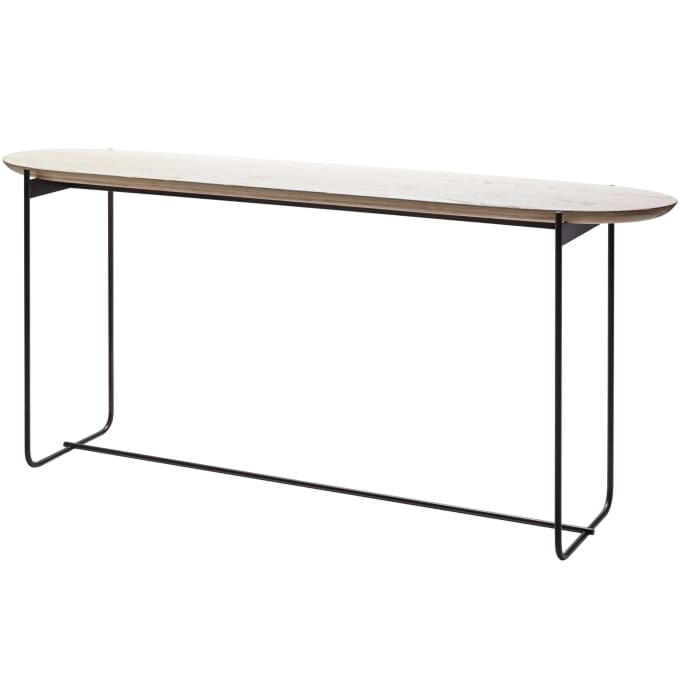 The Pebble console is made of solid ash wood which rests on a subtly curved steel frame. What is luck? Luck is to suddenly chance upon a piece of driftwood while strolling along the beach. Upon a beautiful piece of wood, smoothened by the sea and whitened by the sun – much like the ash wood panel of our new PEBBLE console, which rests on a subtly curved steel frame. Timeless architecture since 1993. Furniture from more, Hamburg. more was founded over 20 years ago by the designer and CEO Bernhard Müller. In an open and direct dialog, our team develops new ideas and makes them reality. The objects by more have been designed and crafted to stay with their owners for years and even decades. They are inspired by clear ideas, surprising functions, and the timeless design of modern classics. Instead of dominating a room, our furniture creates freedom for individual configuration.